Apple/modifications by Business InsiderApple’s 2018 MacBook Pro with the trackpad photoshopped out by yours truly. Even the keyboard itself could be used for certain gestures you’d usually make on a trackpad. 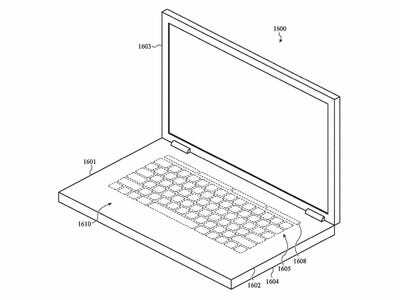 Instead, one of Apple’s ideas is to turn the entire area “below the keyboard (e.g., the palm rest region), the areas along the lateral sides of the keyboard, and even the keyboard itself” into a giant trackpad. Yes, that essentially means the entire top surface of a Mac laptop. It would also mean some changes to the Mac keyboard as we know it. 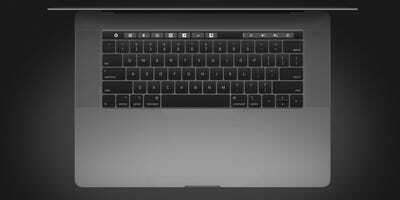 Instead of buttons for keys, a Mac with a keyboard you can use as a trackpad could be “virtual,” much like the iPhone and iPad’s keyboards. The patent also described keys that you can press down, but could still be used for gestures you might make on a trackpad, like scrolling down a web page with two fingers. Having a keyboard that could register mouse-like movements and gestures isn’t brand new. BlackBerry’s done a version of it with its space bar on its smartphones, where you can swipe down on the button to scroll down a web page or app. 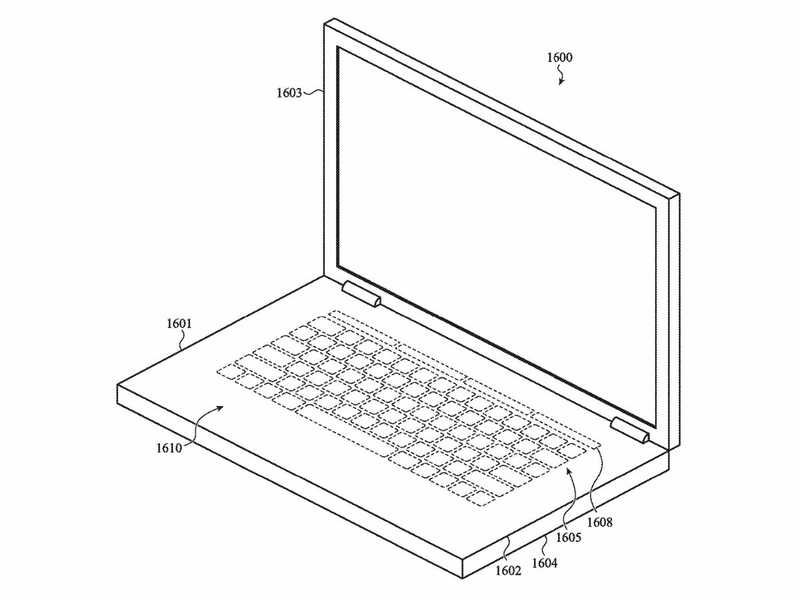 The company also has ideas to change switch out the metal on the top part of the laptop – where the keyboard lies – with glass or plastic with light shining through it to indicate keys and the trackpad area. To be clear, these are simply patents, not a sure-fire indication of what to expect. We may never see these ideas come to fruition, but they do offer a fascinating look into all the possibilities Apple’s designers dream up.